The fall semester marks the beginning of many things. One of those things is fall sports, and more notably, women’s golf. Last season, the team won the RMAC Championships and finished No. 8 in the NCAA West Region Championships. The focus may be on finishing top once again in the RMAC Championships, but head coach Sadie Farnsworth maintains that the team is focusing on improving, not just winning. After finishing up their first invitational last week in Pueblo, the team is now preparing for their first RMAC event next week in Grand Junction. “Same thing goes for preparing for the RMAC event, we’re going to take what we learned in Pueblo and we’re going to make practices to help improve on the things there that we need help with and we’re going to bring that back into practice and just prepare for that tournament just like we would any tournament,” says Farnsworth. Farnsworth says that the difference between having a one week break as opposed to a two week break between tournaments is not substantial. “We really try to focus just preparing for a specific tournament and then we go see how we do there and take what we learned and get better at that and then we go prepare for the next tournament so as we go along it just builds and we get better and better,” says Farnsworth. Farnsworth also continued to press the point that she as well as the team do not hold expectations for themselves. 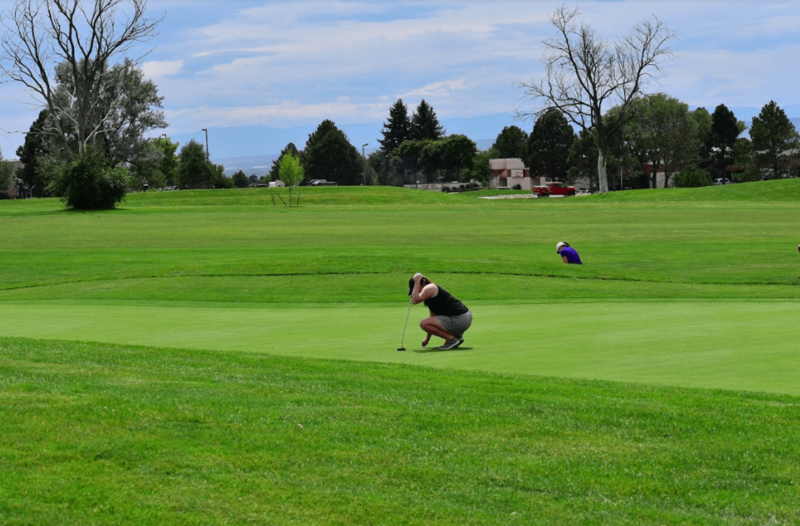 Although the team lost two golfers to graduation this past year, Farnsworth is confident in the ability of her team, especially her lone senior golfer, Megan Vernon, as well as her lone freshman golfer, Dakotah Kreil. Keeping the team positive is important, Farnsworth says. Each golfer is given a strategy to use in tournament play in case something goes awry, or a golfer gets uncomfortable with anything. Each golfer also her own notebook to take notes with and many of the golfers who have been on the team longer even know what Farnsworth would tell them in certain situations.